Sunlight is the main source for obtaining Vitamin D, this helps to promote healthy bones, teeth and muscles. The properties of Vitamin D assist the body to absorb calcium and phosphate from our food intake. During the warmer seasons is when we generate most of our Vitamin D intake from the natural sunlight, there are a small number of foods that can provide the same source. Natural light is vital to productivity as this helps to increase alertness, mood and metabolism. As we live in age of technology our eyes are continuously being omitted artificial light which can lead to eye strain, headaches and blurred vision. The latest research by Professor Alan Hedge from the Department of Design and Environmental Analysis has revealed that day lit spaces can reduce these common issues. These issues are all factors that will decrease productivity which is something that can be avoided by designing a space that floods in enough natural light. 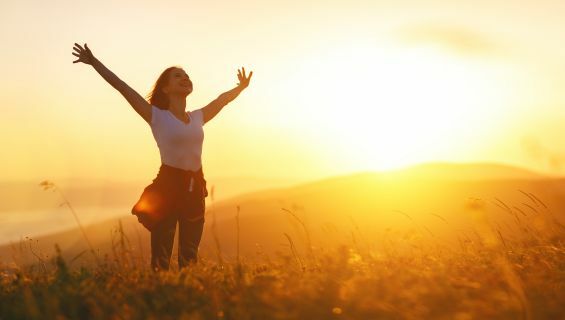 It is obvious that light helps our body to wake up but it may not be so well known to many that getting enough natural light in the early mornings can actually help your body to sleep the following night. The natural light helps to reset the body’s biological clock, keeping you in a natural rhythm to sleep well. Depriving yourself of natural light will confuse your body and make it hard to maintain a healthy and natural sleeping pattern. The optimum time to gain natural light to sustain a healthy sleeping patter in between the early hours of 6am to 8.30am, if you’re not a morning person then keep reading for our solution. A lack of sunlight can actually lead to Seasonal Affective Disorder (SAD) which is often linked to the Autumn/Winter days which are the shorter days of the year. A reduced exposure to sunlight can increase the melatonin levels and decrease your serotonin levels. An increased level of melatonin will make your more tired than normal and a decreased level of serotonin will affect your mood and appetite. These are two key factors that can lead to depression. It is recommended that you get 30 minutes of sunlight per day to avoid the risk of SAD. So how do we sustain a healthy lifestyle in our own homes with natural lighting? The obvious answer is to ensure that we have enough windows to fill our internal spaces with natural light. It is crucial for building designs to incorporate a sufficient amount of glazed windows but it has to be a balanced amount as too much glazing can have a negative effect during the warmer seasons. At Caribbean Blinds we have a shading solution that will protect your home from the intense heat and provide enough light to filter through. 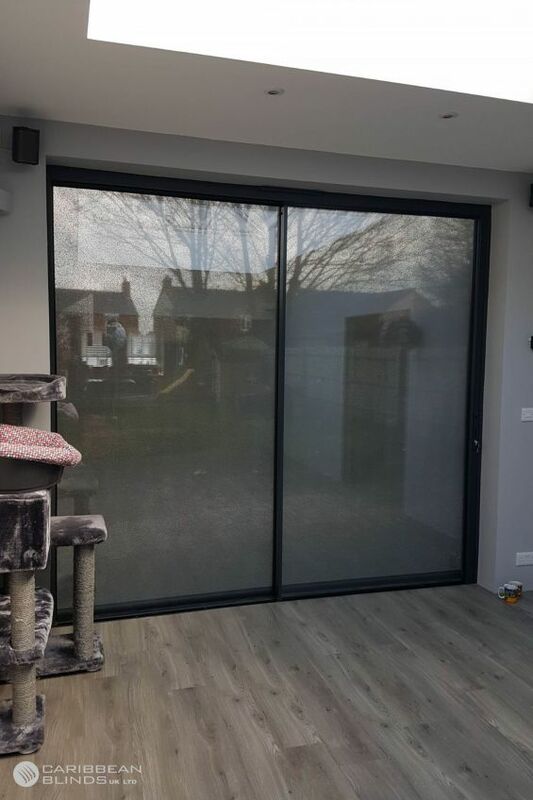 Our innovative External Roller Blinds and External Roof Blinds come standard with a Twilight Mesh Fabric that has been designed with perforated holes that filter through enough light whilst decreasing solar heat gain within the property. This advanced weatherproof fabric has been engineered with UV Protecting Properties which maintain visibility through. By applying these to the exterior of the windows you will effectively combat the sun’s damaging UV Rays whilst gaining the essential qualities to improve your health. The Dim Out Fabric is a great choice if you are looking to receive a natural wakeup call and improve your sleeping pattern. During the summer season this is an essential shading solution that will enhance your home and improve your lifestyle. 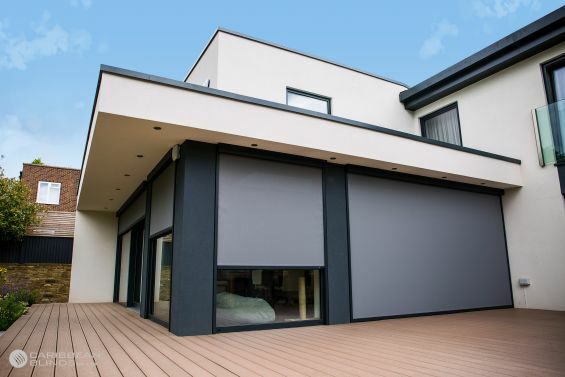 We have been specialising in Solar Shading for over 30 years and we understand the disadvantages and advantages of sunlight and our priority is to safeguard our clients with effective External Blinds to benefit their wellbeing. If you would like to find out more about the benefits of our Exterior Window Blinds then call one of our advisers today – 0344 800 1947.